Want a showstopper side dish that delivers big on flavor and presentation? Boom. 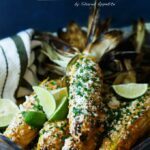 Korean Inspired Mexican Street Corn with Gochujang Aioli! Listen. I’m not here to toot my own horn (that’s funny because I’m actually a music teacher and my main instrument is the trumpet… get it? ), but I’m pretty confident in my abilities to throw a pretty kick-donkey backyard party. I’ve got it pretty much down to a science. The pool is open. Thy drinks floweth freely. And the food is always bountiful. Asheley would say too bountiful. But what can I say? I want to make sure that everyone has plenty to eat… and just in case they all bring along a small army of friends, I’m prepared. My favorite part of the summer party spread? The side dishes. LOVE side dishes. The more, the better. Like this indulgent Sweet Potato Bacon Salad. Or a very patriotic Red, White, and Blueberry Salad. Maybe a refreshing bite of this Watermelon, Feta, and Arugula Salad. And definitely a scoop of these Pineapple Bacon Baked Beans. And let’s not even discuss my obsession with corn. So many recipes to choose from! Simple Corn and Basil Salad? Maybe. 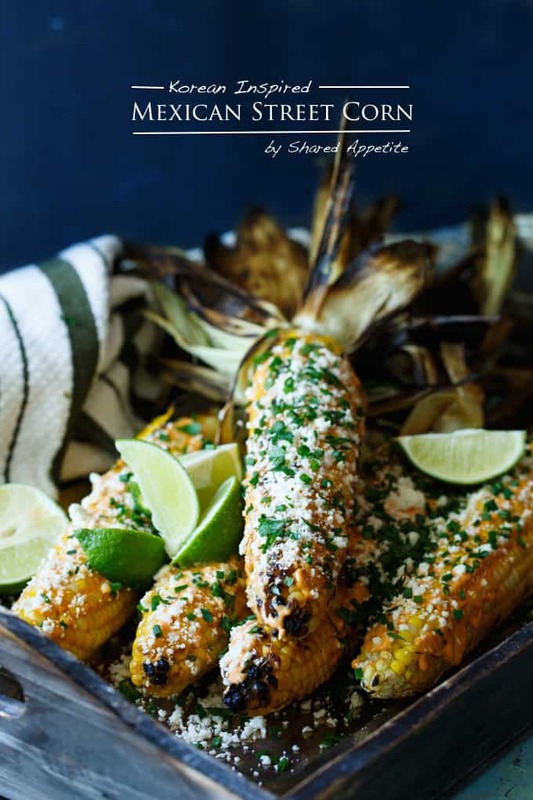 This Spicy Southwest Corn? SO good. And now, my newest corn obsession. 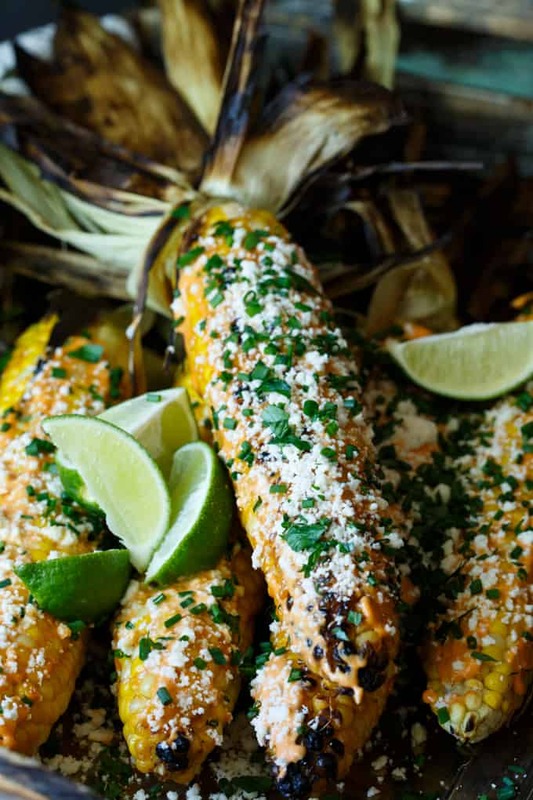 Korean Inspired Mexican Street Corn… all grilled up and slathered with Gochujang Aioli, crumbled queso fresco, fresh herbs, and a squeeze of lime. Let’s talk grilling. This is a strict Weber Grill family. Has been for a long time. I started out with one of those sweet Weber Q Series portable grills at my very first apartment. When we bought our house, I upgraded to one of those serious Weber Genesis Grills. It’s beyond legit! I ended up giving my portable grill to a friend who needed one, and I have to admit… I miss it. It was so perfect because I could easily pack it up, put it in the car, and move it to wherever the party was happening. And then, in a series of events that is so far past coincidence and that I can only deem as pure and utter fate, I have been reunited with a portable grill… the Weber Q 1200 in Color! It’s available in 6 sweet colors and folds up for easy transporting. Tailgating. Camping. Beach night. 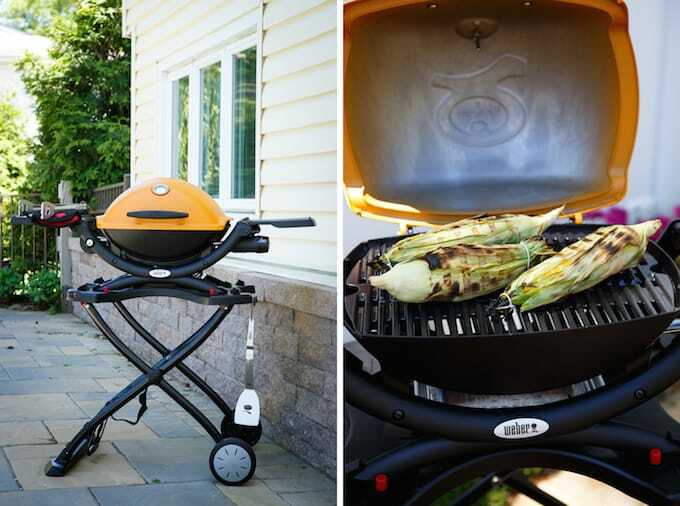 It’s all possible with Weber Q 1200 in Color. Just don’t forget the Korean Inspired Mexican Street Corn. You won’t be sorry. It’s huge on flavor and quite possibly might be my new favorite summer bbq side dish. Meanwhile, heat grill to medium. Grill corn, turning occasionally, for 25 to 40 minutes, until corn is tender and charred in spots. It will be very fragrant, so try to resist the urge of devouring corn at this point. Remove corn from grill and peel back husks. You can remove the husks entirely at this point, although it makes for pretty legit presentation to keep them rolled back. Slather grilled ears of corn with a generous, even layer of gochujang aioli and coat with crumbled cheese. Sprinkle with chives and parsley, and serve with lime wedges. Encourage guests to use that lime and not just stare at it. Devour corn with intense ferocity. Combine all ingredients in a small bowl and refrigerate until ready to serve. Can be made a few days ahead of time. 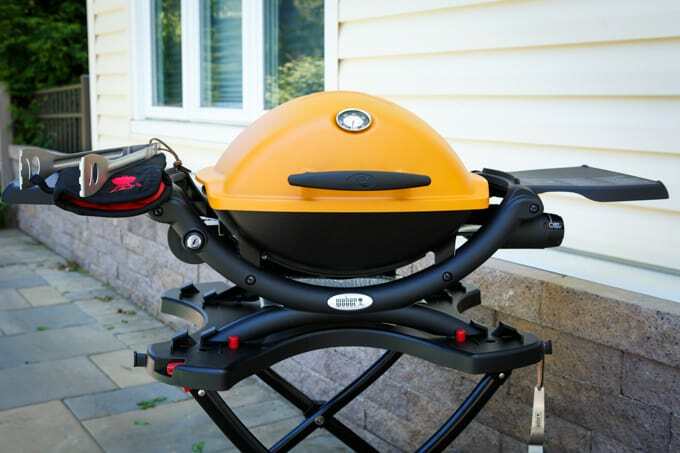 Want to win your very own Weber Q 1200 in Color? Boom. Weber Grills are giving one away every week through the end of June! And oh yea… there’s a pretty sweet grand prize as well. You can win a Weber Q in the color of your choice along with a legit trip to a colorful destination of your choice. Enter to win here and find out where you can be heading on vacation! This is a sponsored conversation written by me on behalf of Weber Grills. The opinions and text are all mine.